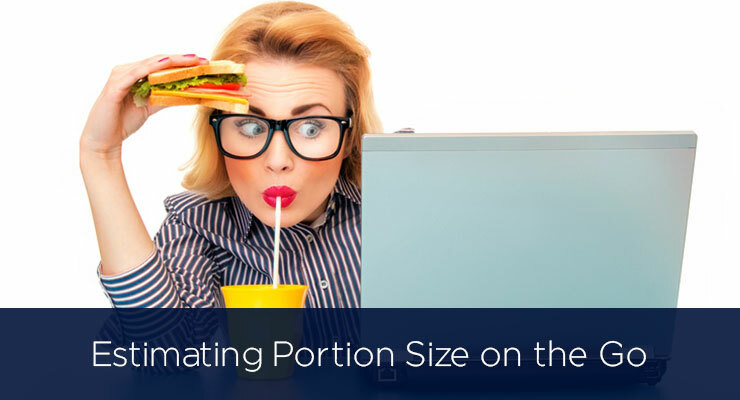 In the face of ever-increasing oversized food and beverage offerings, portion control remains a critical factor in maintaining a healthy weight and an appropriate caloric balance. Indeed, many studies have demonstrated that increasing portion size increases calorie intake1, which may be due to external visual cues overriding internal hunger cues or the natural tendency to take larger bite sizes from larger portions.2,3 Furthermore, studies have shown that people do not decrease, but rather increase, calorie intake at subsequent meals after eating a meal with inflated portion size.4 It is generally accepted that when calorie intake exceeds caloric expenditure, weight gain results. With these important considerations in mind, it is clear that proper portion control plays a key role in maintaining a healthy weight. Today many people are counting their calories to manage their weight, which can be increasingly difficult as portion sizes of many foods continue to expand. For example, the National Institutes of Health reports that the bagel of today is about 3 inches wider and 200 calories more than the bagel of 20 years ago. Likewise, today a bag of chips generally contains multiple servings, and a single serving 1-ounce bag is often hard to find. Restaurant meals have also become larger with an emphasis of getting more for your money. While getting larger portions at low prices may appeal to the pocket book, Americans may be paying for it later when it comes to their health. People generally are poor judges of how much they are eating, even if there is information available about appropriate serving sizes.5 Given this, using measuring cups, spoons and even food scales may be a good way to self-check on food and ingredient amounts when cooking and eating at home. Measuring may also be a good method when preparing food ahead of time such as portioning out pasta or salad to take to work the next day. However, this method cannot readily be applied when eating on the go. Several techniques can be used to estimate portion sizes when utensils and measuring cups are not available. The first is visualization, which involves thinking of common items in your everyday life and using these to visualize what a serving looks like. For example, an iPhone 6S would be comparable to a 3 ounce serving of meat, a baseball would be equal to one cup of salad greens, and a tennis ball would be equal to a medium apple, orange or peach. If your visualization skills are not the best, try using your hand or fingers. One half cup of vegetables, rice or cooked cereal is equal to the size of an average woman’s palm. A cup of cooked vegetables or baked potato would equal the size of an average woman’s tight fist. When adding fats or oils, such as butter, peanut butter, or oil to food, one tablespoon is about the size of the tip of the thumb. Many foods also come pre-packaged such as yogurt or snack bars. When choosing these foods be sure to read the label; at the top right above calories you will find the serving size and how many servings the product contains. If the label reads 1.5 servings per container, then eating the whole container would mean that you should multiply the calories per serving by 1.5. Next time you find yourself in a cafeteria, a drive-thru, or at a vending machine: stop, visualize and read the food label of any food you buy so that you can decide how much to eat based on your daily calorie goal. Zlatevska N, Dubelaar C, Holden S. Sizing Up the Effect of Portion Size on Consumption: A Meta-Analytic Review. Journal of Marketing. 2014;78(3):140-154. Burger K, Fisher J, Johnson S. Mechanisms Behind the Portion Size Effect: Visibility and Bite Size. Obesity. 2010;19(3):546-551. Ello-Martin J, Ledikwe J, Rolls B. The influence of food portion size and energy density on energy intake: implications for weight management. Am J Clin Nutr. 2005;82(suppl):236-241. Rolls B, Roe L, Meengs J. Larger Portion Sizes Lead to a Sustained Increase in Energy Intake Over 2 Days. Journal of the American Dietetic Association. 2006;106(4):543-549. Portion Distortion. National Heart, Lung, and Blood Institute Obesity Education Initiative. Available at: http://www.nhlbi.nih.gov/health/educational/wecan/portion/documents/pd1.pdf. Accessed March 6, 2016.
awarded funding from the National Heart, Lung and Blood Institute to examine the long-term effects of a specific diet on blood pressure and vascular function in adolescents. In 2004, Dr. Couch was awarded the Ohio Dietetic Association’s Research Dietitian Award. She completed her doctoral work at the University of Connecticut in the area of Nutritional Biochemistry and completed her postdoctoral training at Columbia University in the area of clinical biomarkers for premature atherosclerosis in children. 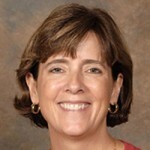 Dr. Couch is a member of the American Dietetic Association, serving on the Board of Editors for the Journal of the American Dietetic Association and as the editor for the newsletter of the Hunger and Environmental Nutrition Dietetic Practice Group.